Steven Tyler is an American singer-songwriter, multi-instrumentalist, and former television music competition judge, best known as the lead singer of the Boston-based rock band Aerosmith in which he also plays the harmonica, and occasional piano and percussion. 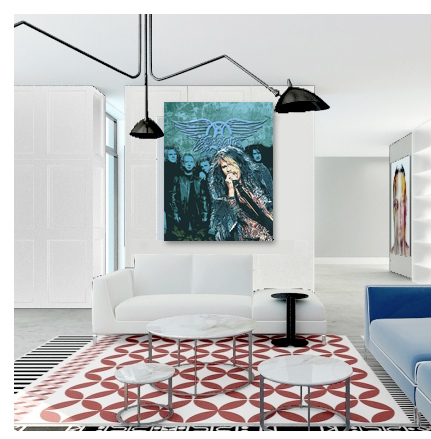 In the early 1970s the group catapulted to fame with the milestone rock album Toys in the Attic, and a string of hit singles, including Dream On, Sweet Emotion, and Walk This Way. In the late 1970s and early 1980s, Tyler had a heavy drug and alcohol addiction, and the band's popularity waned. Since the late 1980s, he has embarked on several solo endeavors including guest appearances on other artists' music (working with artists as diverse as Alice Cooper, Mötley Crüe, Santana, Pink, and Keith Anderson), film and TV roles (including as a judge on American Idol and several cameo and guest appearances in other programs and films), authoring a bestselling book, and solo work (including the Top 40 hit single Feels So Good in 2011). Tyler has continued to record music and perform with Aerosmith, after more than 45 years in the band. In May 2015, Tyler released the country single Love Is Your Name, followed by the second single Red, White & You in January 2016. Tyler is included among Rolling Stone’s 100 Greatest Singers. He was ranked 3rd on Hit Parader's Top 100 Metal Vocalists of All Time. 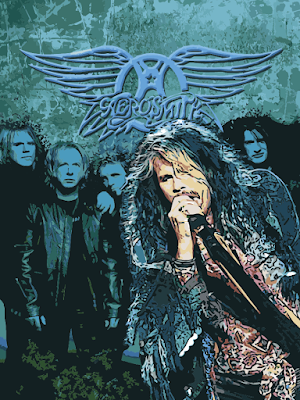 In 2001, he was inducted into the Rock and Roll Hall of Fame with Aerosmith, and in 2013, Tyler and his songwriting partner Joe Perry received the ASCAP Founders Award and were inducted into the Songwriters Hall of Fame.